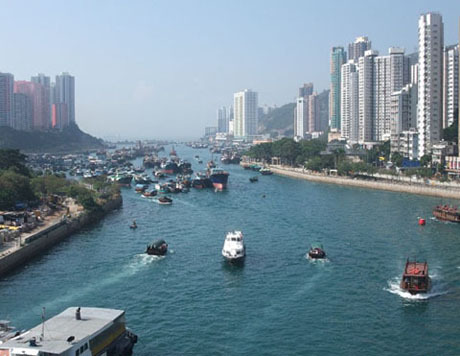 Aberdeen, located on the south coast of Hong Kong Island, was one of the first places British troops came ashore in 1841 and was named after the 4th Earl of Aberdeen, George Hamilton-Gordon, British Secretary of State for War and the Colonies. Its Chinese name is “Heung Gong Tsai” meaning “little fragrant harbour” with “fragrant” being a reference to incense wood for burning in worship which was grown in the New Territories, collected at Tsim Sha Tsui and then sent in junks to Aberdeen for export. The name was later anglicised and Hong Kong became the name by which the whole territory is now known. It currently has a population of about 60,000 and is the largest town on Hong Kong Island. The town is sheltered by the small densely populated island of Ap Lei Chau to which it has been connected by bridge since 1983. Aberdeen has for generations been a fishing port and home to the Tanka and Hoklo clans who originated from the mainland coastal areas of Guangdong and Fujian. Recognisable by their large-brimmed hats these boat-dwellers were once forbidden to live on land or marry land people and were born, married and died aboard their sampans and junks. Since the early 20th century however they have had equal rights with land-dwellers and most now choose to live on land in the high-rise apartment blocks for the benefit of their children’s education but some still remain on houseboats in the harbour. 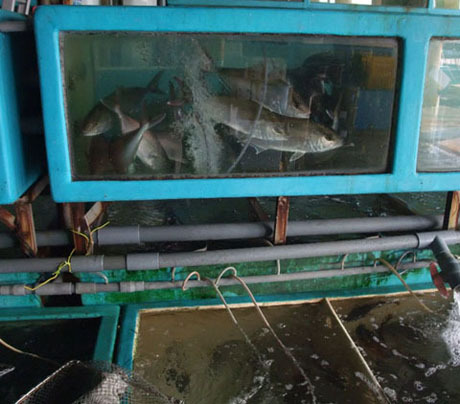 The port still has a large fishing fleet although this has been in decline in recent years. Small fishing boats sail within about 100 nautical miles of Hong Kong in the South China Sea but some of the larger junks can sail as far as the Philippines, Malaysia and beyond. Fishing is not the only industry in Aberdeen and the town also has shipyards, light manufacturing businesses, engineering works, textile factories and warehouses. For tourists the main attraction is the harbour and its floating restaurants. An Aberdeen Tourism Project to enhance the town as a tourist destination took place during 2012/2013 which has seen beautification of promenades along both sides of the harbour, improved signage and boarding and disembarking facilities, snack kiosks and local information boards. 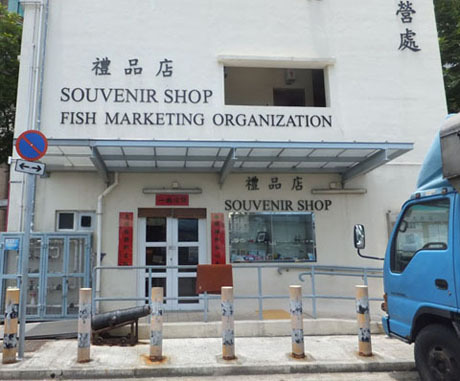 In the longer term there are plans to enhance the Wholesale Fish Market as a tourist attraction by setting up seafood restaurants within the market and providing a dining and entertainment zone along part of the waterfront of northeastern Ap Lei Chau. Sampan rides, mostly operated by elderly Tanka and Hoklo women, are a popular way to explore the colourful and crowded harbour. 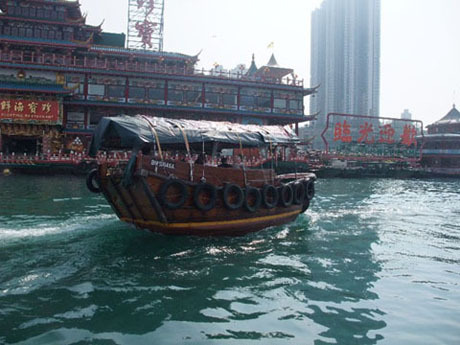 Sightseeing sampans operate from various points along the length of promenade and there is no need to pre-book. Eagle-eyed old ladies also patrol the bridges and subways leading to the town touting for customers and anybody remotely resembling a tourist will usually be approached before even reaching the promenade. 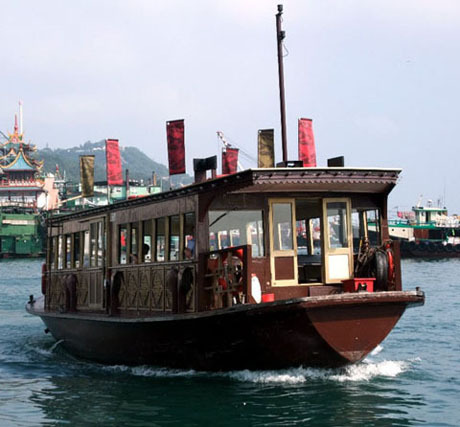 Expect to be quoted a price of about HK$80 for a 30-minute sampan ride for one person but prices are very negotiable and HK$50 is a more realistic amount. If there are several people in a party a much lower price can usually be “bargained”. 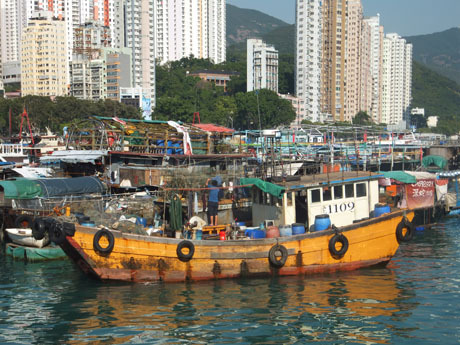 The sampan ride takes in the junks, sampans, trawlers and houseboats crammed together and passes under the Ap Lei Chau Bridge to the floating restaurants, luxury pleasure craft moored in Aberdeen Marina at Sham Wan and the shipyards lining both sides of the harbour. About 5000 people still live on boats in the harbour and washing lines, pot plants and fishing nets being repaired often adorn the decks. These days boats are equipped with the comforts of modern life such as satellite TV, washing machines and refrigerators. The Jumbo and Tai Pak Floating Restaurants will be in dock for periodical survey and maintenance from 22nd April to 7th May 2019. During this period both restaurants will be out of service. The restaurants will resume normal business on 8th May. 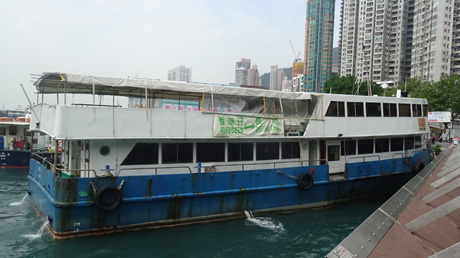 The first floating restaurants appeared in the typhoon shelter shortly after World War II. 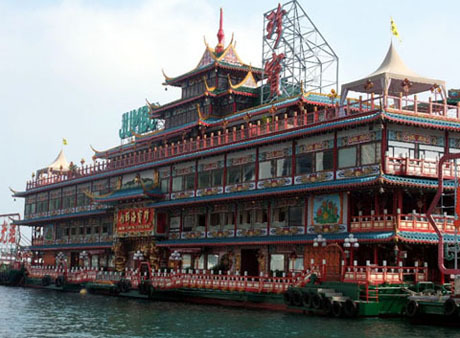 The longest established have been Sea Palace Floating Restaurant which was sold and towed to either the Philippines or Australia some years ago (there are conflicting sources on this issue) and the current two floating restaurants moored next to each other in the harbour, Jumbo Floating Restaurant and Tai Pak Floating Restaurant which are now under the same management and collectively known as Jumbo Kingdom. The current restaurants do not actually "float" and are supported on concrete. Some sections of the restaurants such as the kitchens are modular and are occasionally towed away for maintenance in local shipyards. 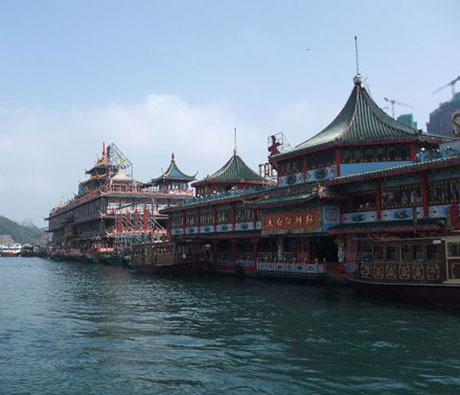 The triple-deck Jumbo, elaborately decorated in the theme of a Chinese Imperial Palace with pagodas and gold dragons is the largest floating restaurant in the world, seating over 2000 diners, and rather dwarfs its smaller neighbour to which it is linked by walkways. 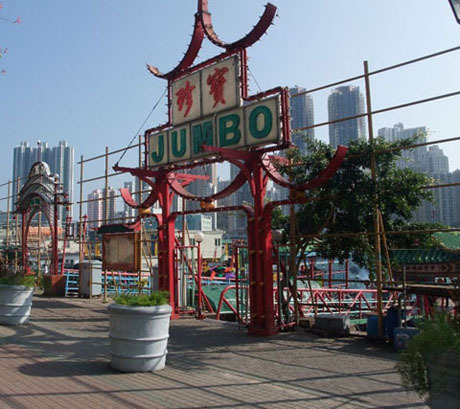 The original Jumbo was burnt down before its opening in 1971 with a loss of over 30 lives. It was rebuilt and finally opened in 1976 since when it has become world-famous and attracted over 30 million visitors including many celebrities. Famous diners include John Wayne, Tom Cruise, Chow Yun Fat, Gong Li and Queen Elizabeth II. It has been featured in many movies including James Bond “The Man With The Golden Gun” and Jackie Chan’s “The Protector”. Tai Pak, which can seat about 400 diners, dates back to 1952 and has also has celebrity status having featured in several movies including “Love is a Many Splendored Thing” in 1955 and “The World of Suzie Wong” in 1960. Scenes for Steven Soderbergh's thriller "Contagion" due for release in 2011 and starring Gwyneth Paltrow, Matt Damon, Jude Law and Kate Winslet were filmed on Tai Pak during October 2010. Tai Pak has been visited by Hollywood stars including Yul Brynner, Elizabeth Taylor and John Wayne. At night Jumbo Kingdom is spectacularly illuminated. Jumbo Kingdom underwent a complete renovation is 2003 and has essentially become a floating theme park with shopping, sightseeing and cultural attractions as well as dining. Dragon Court and Jumbo Chinese Restaurants on the first and second floors deck offer Cantonese cuisine with fresh seafood being a speciality. 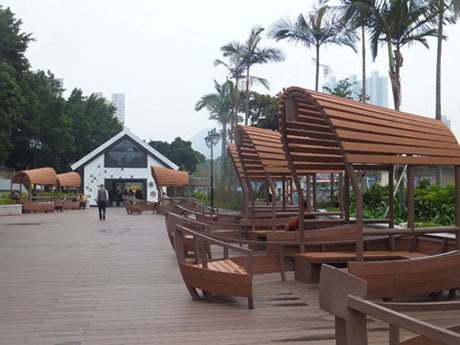 The upper deck which was once a mahjong parlour for staff is operated by Café Deco group was transformed into the alfresco Top Deck restaurant serving fine Western food. 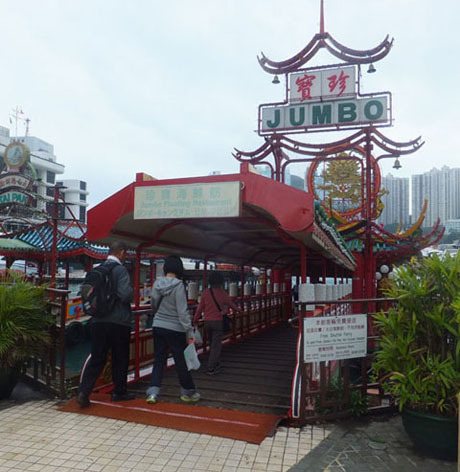 However, following a further renovation of Jumbo during 2013, Top Deck Restaurant did not reopen and it is believed the operators are seeking a new location. 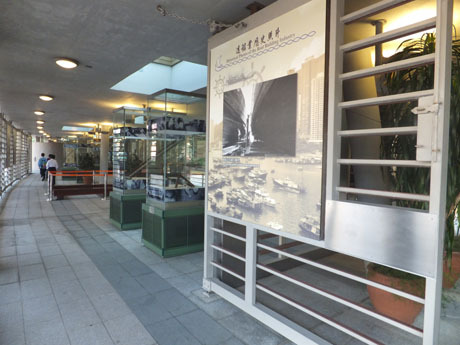 The restaurants look out to the luxury yachts of the exclusive Aberdeen Marina Club to the front and the high-rise blocks of Ap Lei Chau to the rear. Diners can also enjoy a Typhoon Shelter seafood meal aboard a sampan, sample various varieties of tea in the Chinese Tea Garden or enjoy a glass of wine in the Pier Plaza. Jumbo Kingdom also has conference and banqueting facilities and a Cooking Academy. The current owners, Melco International, confirmed in October 2017 that it is planning a major refurbishment of Jumbo Kingdom but details have not yet been announced. 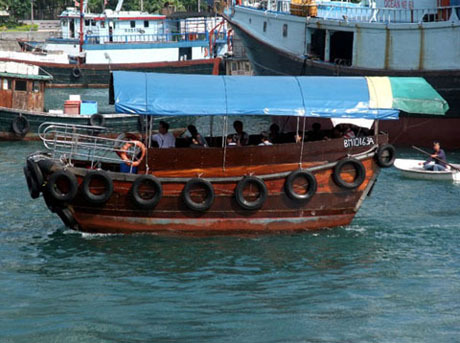 Frequent free shuttle boats operate to the floating restaurants from both Aberdeen Promenade and Sham Wan Pier. Journey time is about ten minutes. There is no obligation to dine at the restaurants and visitors can take the opportunity to use the free shuttles to simply explore the facilities on the floating restaurants. 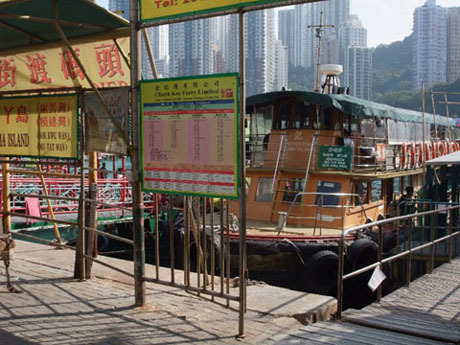 Diners spending over HK$600 are entitled to reimbursement of taxi fare up to HK80 to reach the shuttle boat piers subject to production of receipt. Located towards the western end of the promenade the colourful wholesale fish market, operated by the Fish Marketing Organisation (FMO) is busy with sellers and buyers from about 4am until noon as fishing boats unload their catches. 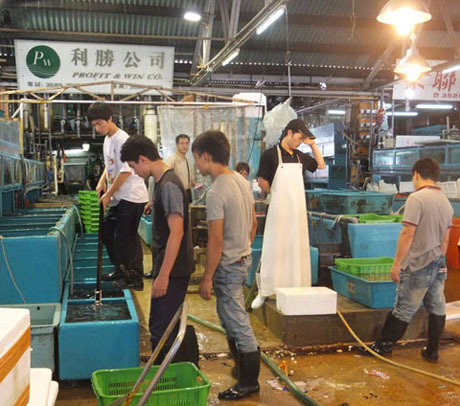 Visitors can watch live seafood being unloaded from boats into tanks, auctioned and loaded on to on lorries and vans to be delivered to markets, hotels and restaurants throughout Hong Kong. Located inland at the junction of Aberdeen Main Road and Aberdeen Reservoir Road the Tin Hau Temple, built in 1851, is dedicated to the Goddess of the Sea and protector of fisherfolk. Tin Hau was a 10th century girl who used her special powers to save her father from drowning and is worshipped by boat people. 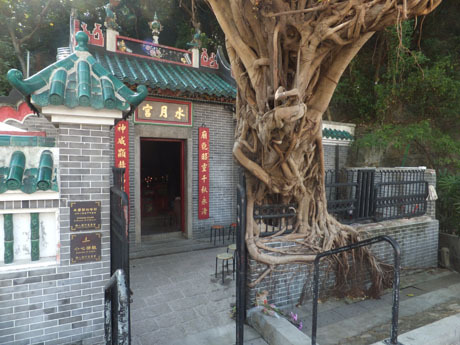 The temple which originally looked out to sea is one of many Tin Hau temples throughout Hong Kong. On the western outskirts of the town the huge Chinese Permanent Cemetery, opened in 1915, is built in terraces on a hillside. 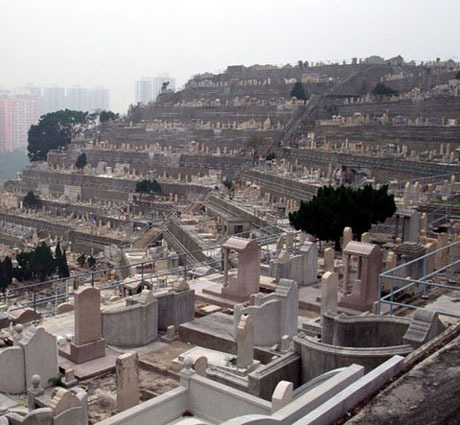 The opening of this cemetery was significant in that it was the first time that successful Chinese residents of Hong Kong were prepared to be buried locally rather than in their ancestral territory in mainland China. In accordance with Chinese culture the graves are intended to overlook the sea but a consequence of “progress” is that the view from many of the graves is now obstructed by high-rise blocks of apartments. The cemetery is managed by the non-profit making Chinese Permanent Cemeteries Board. Ap Lei Chau (Duck Tongue Island) is named after the shape of the island. It lies just south of the town of Aberdeen, across the harbour and provides and creates a very effective typhoon shelter. It was once a quiet fishing village until in 1968 an oil-fired power station was built to serve the whole of Hong Kong Island. A new and larger power station was built across the channel on Lamma Island in 1982 and Aberdeen Power Station was decommissioned in 1989. 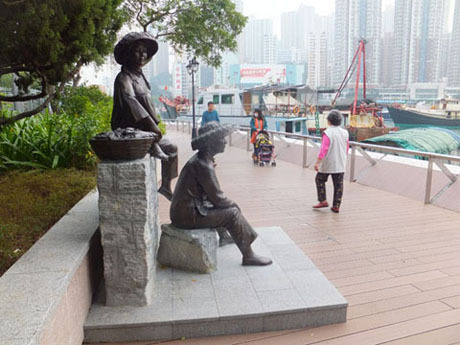 In the meantime the island had been connected to the mainland by the Ap Lei Chau Bridge since 1980 and a number of high-rise public housing developments were constructed. The population of the island is now about 90,000 making it the second most densely populated island in the world (behind Santa Cruz del Islote in Columbia) with a density of 66,755 people per sq km. 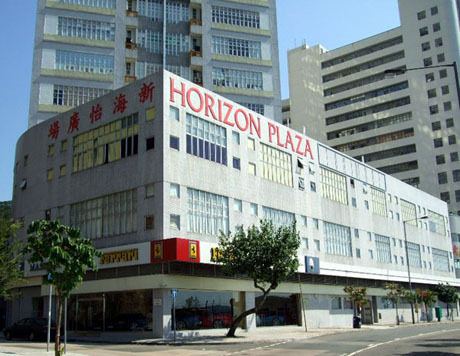 The site of the old power station together with surrounding reclaimed land is now the location of the large South Horizons estate on the south-west side of the island. 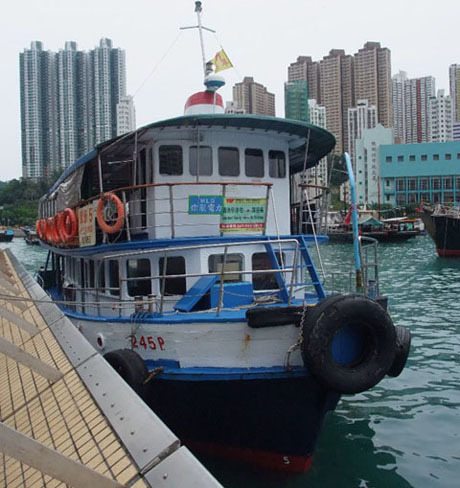 A frequent sampan ferry operates the 4-minute journey across the harbour from Aberdeen Promenade to Ap Lei Chau public landing steps from 6am until midnight. Fare (at September 2015) HK$2.2 adult, HK$1.2 child under 12. Octopus Card accepted. A major revitalisation programme, completed in 2013, has seen the promenade beautified with construction of a harbourside park with piazza, jogging track, fitness corner, exhibition gallery, viewing platform and wind tower. The wind tower has been designed in the shape of a fishing boat and features LED lights which change colour automatically according to wind speed. 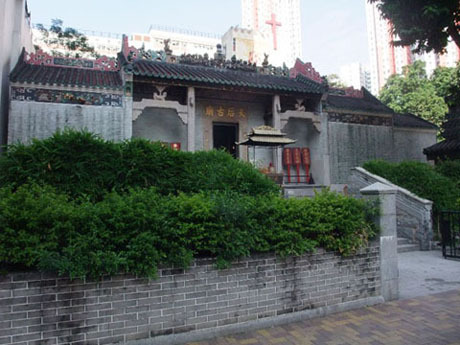 The island has one of Hong Kong’s oldest Hung Shing Temples, dating back to 1773, located on Hung Shing Street on the northern side of the island near the waterfront promenade near the landing steps. The temple has an exquisitely decorated pottery roof and in addition to Hung Shing, a sea God who promoted astronomy and geography, the temple houses Kwan Tai (God of War), Tai Sui (Sixty Gods of Time) and Kwun Yum (Goddess of Mercy) and an iron bell, cast in 1773. The temple underwent major renovation in 1988 and 2005. There are frequent bus services operating between Aberdeen and Ap Lei Chau including routes 91,91A,93 and 95C. Aberdeen is not currently served by the MTR network. The MTR South Island Line which is scheduled for completion in 2015 will have stations at Wong Chuk Hang on the eastern outskirts of Aberdeen and at Lei Tung and South Horizons on Ap Lei Chau. On Tuesdays and Thursdays (one service each way), Saturdays (three services each way), Sundays and public holidays (five services each way) a ferry service operates to Po Toi Island. The quiet and scenic island, located about 6km off the Stanley Peninsula, has only a handful of residents but at weekends is a popular destination for hiking and for its seafood restaurants. The journey takes about one hour and some services call at Stanley. New service introduced 8th August 2015 and operated by Maris Ferry Service Limited. There are seven sailings each way on weekdays and twelve sailings each way on weekends and public holidays. 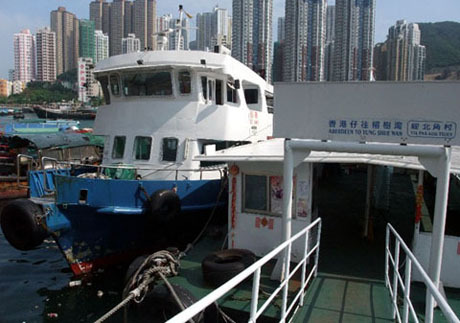 The service operates from Aberdeen Ferry Pier on Promenade and from Cheung Chau Public Pier (adjacent to the main ferry pier). 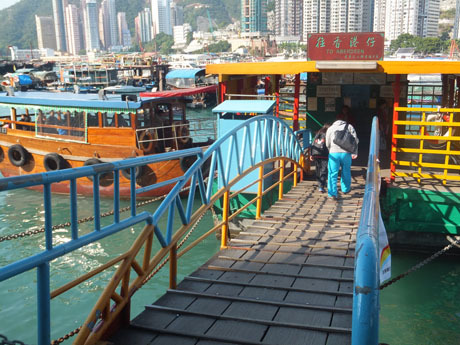 A frequent four-minute kaido ferry service from 6am until midnight daily links Aberdeen Promenade with Ap Lei Chau Public Landing Steps on the north side of Ap Lei Chau.